Memphis, TN (THE WIRE PRESS) – Stunning critics and fans alike, rock/alternative band ‘The Clay Markley Crisis’ has released two new music singles, “That Look” and “Find My Way,” which are available online now for streaming and digital download. The two tracks are the first singles from The Clay Markley Crisis’ upcoming debut album “Ultra Sound” which will release through Lehr Music and VM Publishing. The Clay Markley Crisis is a Memphis based three-piece rock/alternative band headed by lead singer and guitarist Clay Markley. Other band members are “Chris Keels”, who is the drummer, and “Zak Gardiner,” who is the bass player. The Clay Markley Crisis’ album “Ultra Sound” was recorded at Royal Studios, known for its work with award winning artists such as Al Green, Chuck Berry, Ike & Tina Turner and most recently Mark Ranson and Bruno Mars which gained Royal Studio’s Lawrence ‘Boo’ Mitchell a Grammy Award for the engineering on Ranson’s “Uptown Funk” featuring Bruno Mars. The trio, The Clay Markley Crisis, has been making their rounds ranging from appearances at a special event for former world kickboxing champion, Anthony ‘Amp’ Elmore, which included guests like former Shelby County, Tennessee Criminal Court judge and former arbiter of an arbitration-based reality TV court show personality Judge Joe Brown, Tennessee Congressman Steve Cohen and others; as well as a live performance at the Hard Rock Cafe. Most recently, The Clay Markley Crisis appeared on Radio Memphis to discuss their upcoming music project and to perform live over the airwaves. Both singles, “That Look” and “Find My Way,” are available for download on over 30 online markets including iTunes, Amazon, Spotify, Google Play and others. 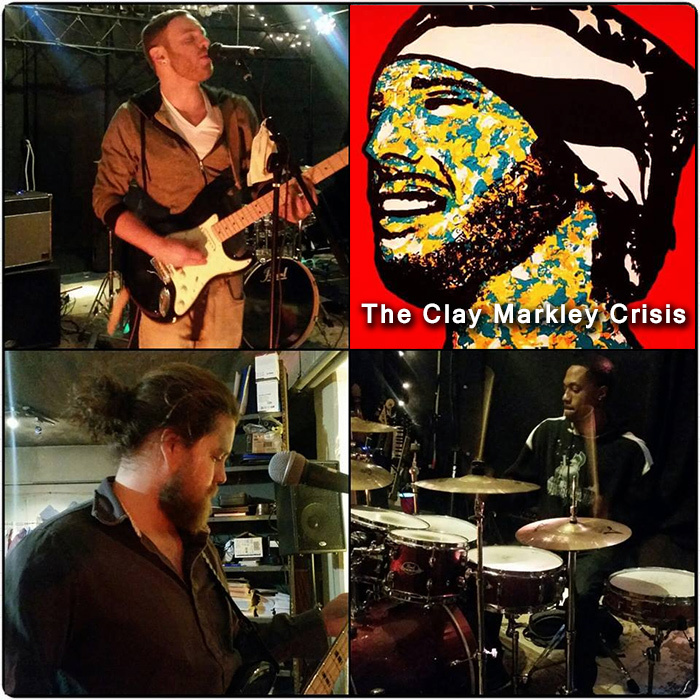 The Clay Markley Crisis’ debut album is scheduled to be released May 3, 2016 under Lehr Music. Harnessing their love of music, vocalist Clay Markley joined forces with drummer Chris Keels, and bassist Zak Gardiner to form The Clay Markley Crisis in 2014. Clay Markley was signed to Lehr Music in December of 2013 and later formed the band The Clay Markley Crisis in 2014. The Clay Markley Crisis made its last addition to the band by signing Chris Keels to Lehr Music in 2015. The Clay Markley Crisis is set to release their new album “Ultra Sound” under Lehr scheduled for May 3rd, 2016. Ultra Sound is produced by Malachi J. Matthews and lead singer Clay Markley and recorded at Royal Studios, known for work with singers like Al Green, Bruno Mars and Eric Benet along with the work of Grammy Award-winning engineer Lawrence ‘Boo’ Mitchell. Lehr Music is situated in the heart of Downtown Memphis, TN at 166 Madison Ave. The label was started by producer and songwriter Malachi J. Matthews in October of 2008. Lehr Music is a recording label with a music publishing division Viticous Music Publishing (V.M. Publishing) that along with The Clay Markley Crisis is set to introduce its roster of new recording artists soon.